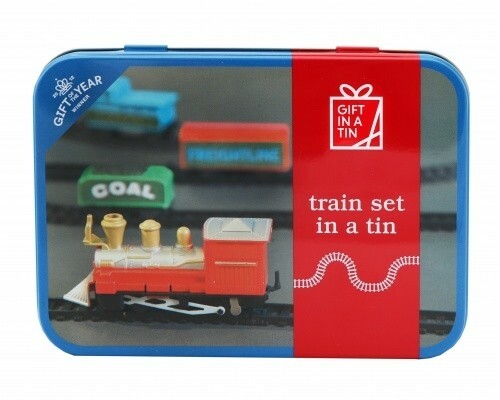 This product was named Gift of the Year winner 2012. 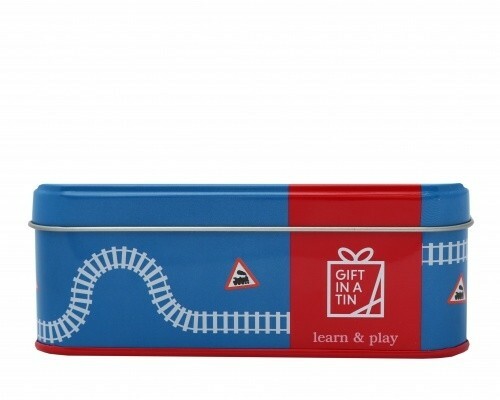 This wonderful train set is great fun for adults and children alike. The track makes an oval approximately 56cm x 26cm. 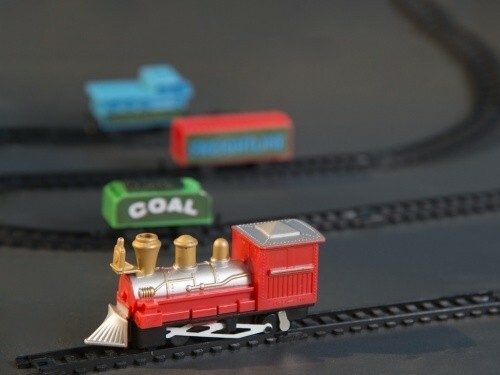 Battery operated engine, 3 trucks (coal truck, passenger truck, long truck), 6 curved pieces of track, 6 straight pieces of track. Requires one AA battery. 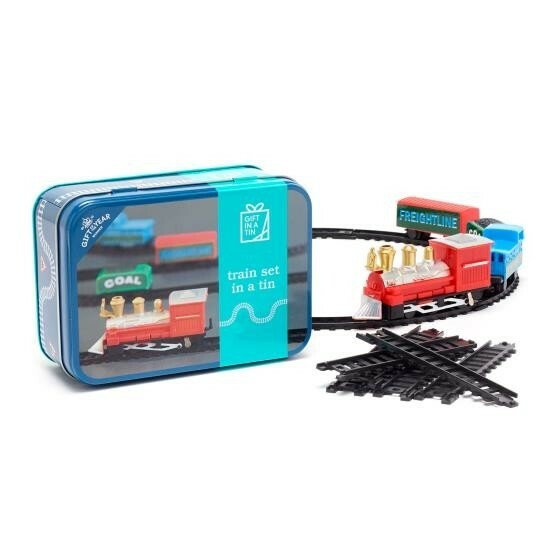 Please note batteries are not included.